Hello-Hello & welcome to a Wednesday. Despite being pathetically rabid moderately interested in fashion it has felt increasingly bizarre to chat about styles for winter as we approach spring, and looks for spring as we approach fall. Thus, we’ve not written much about Fashion Week, underway for several days now. 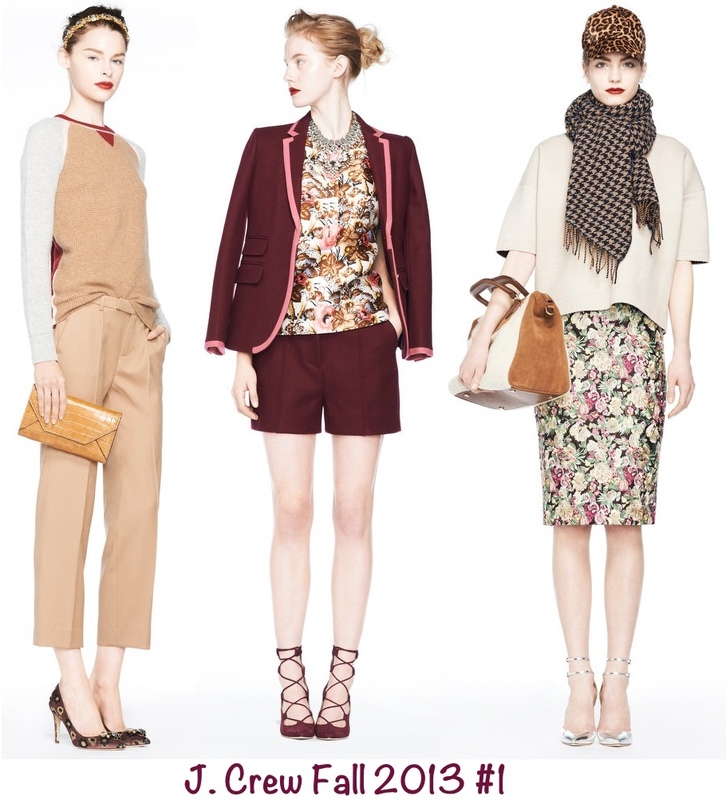 Yet today seems like a good time to share a few images, we begin with J. Crew’s collection for next fall. Tailored pieces ruled the collection. 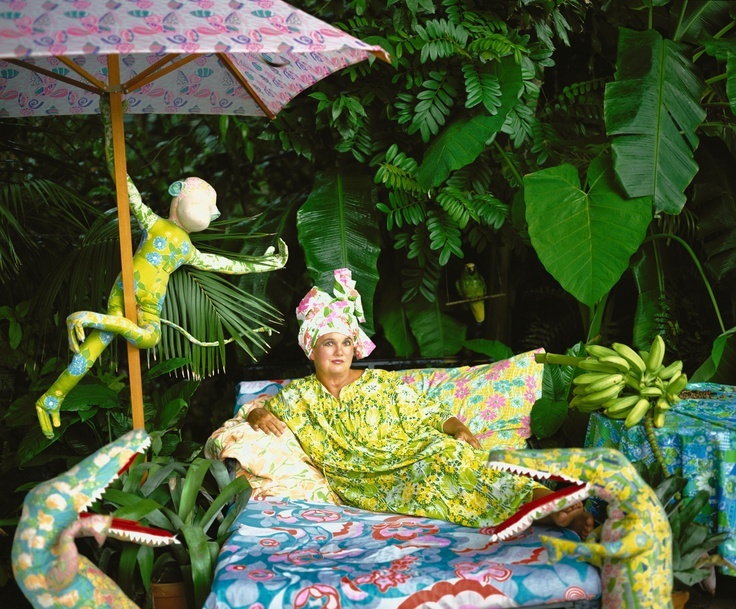 “the… collection was one of the brand’s most vibrant, ornate and expensive-looking in a while. It’s always nice to see bright pops of color in cold weather clothing. J. Crew turned it up to 11 for Fall 2013, thanks to creative director Jenna Lyons’s deft touch with color and pattern mixing. Neon citron mingled with bubblegum pink, while a clean Winter-white sweater and pants provided a palate cleanser. The retailer’s fall 2013 collection was so rich in saturated jewel tones, so boldly printed, so unabashedly covered in shimmering embellishments, it was truly eye candy. Some of the richer colors actually popped more in pictures shot by the fashion media than in the images released by Crew. The navy played nicely against the royal blue and teal tones. The retailer puts out a quirky, mix-and-match collection of looks that manage to excite the fashion set and the masses. The Moroccan influences are easy to see in these looks. As has become the norm with Crew, there were several pieces that held promise, others were just too fashion forward for someone like your trusty scribe, prone to embracing her inner frump. (Heh-Heh-Heh.) 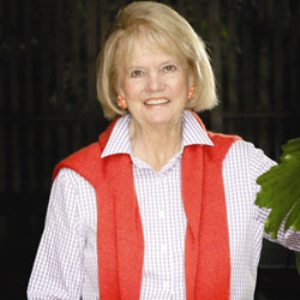 Or perhaps I’m just too fixated on springtime styles from Crew, like the fresh crop of cashmere. We also have a fast glance at styles from Carolina Herrera. There was very much a forties vibe to the collection. Also today, a quick update on Monday’s post about the Westminster Dog Show. Last night the show’s big winner was chosen, and well… he’s not so big! Say hello to Banana Joe. Banana Joe is an Affenpinscher. The breed has been recognized by the WKC since 1938, but this is the first year an Affenpinscher has won the coveted title. If nothing else, how do you not love a name like “Banana Joe”? Hello-Hello and welcome to a Monday that is a more-than-a-little-scary for a lot of people. We thought it might be a good day to share something cheerful, so we’ll do our annual Preppy Pumpkins post. 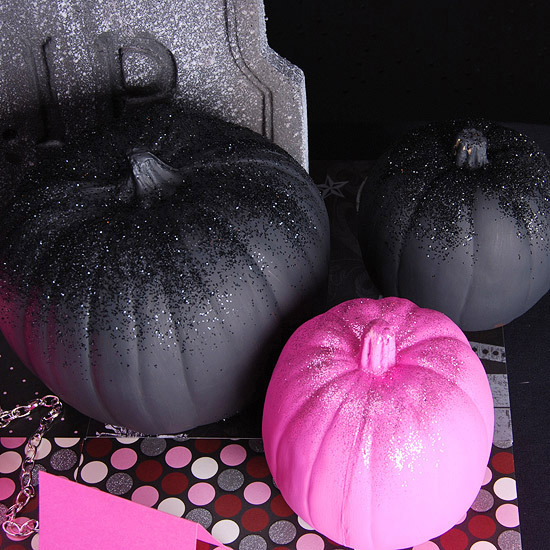 We begin with these damask pumpkins by Confessions of a Plate Addict, they just seem to exude elegance. Those fond of ikat and chevrons will appreciate these by Alisa Burke. 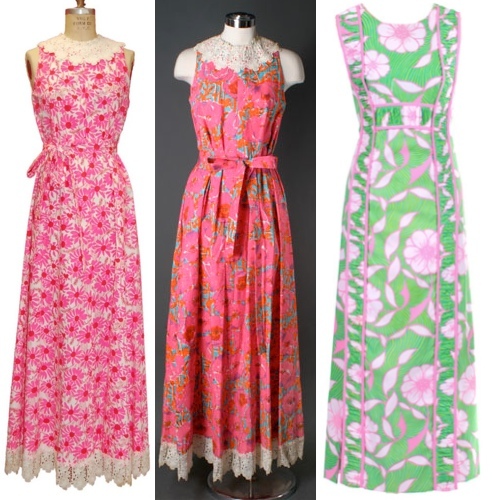 These come via the ‘Whatever’ blog, I love the bright colors. These vibrant pumpkins were used to display a house number in addition to a bright bit of decoration. There is actually a wonderful tutorial on how to do these yourself, great step-by-step directions. Of course, if you are thinking about monogramming one of these, there’s no shortage of idea, here’s a stellar example from our pals at Fashion Meets Food. Here is another DIY Tutorial via Personalized from Me to You. Here we have a monogram on fabric via A Pumpkin and a A Princess (how perfect is that name?). This group from Better Homes and Gardens is really pretty. 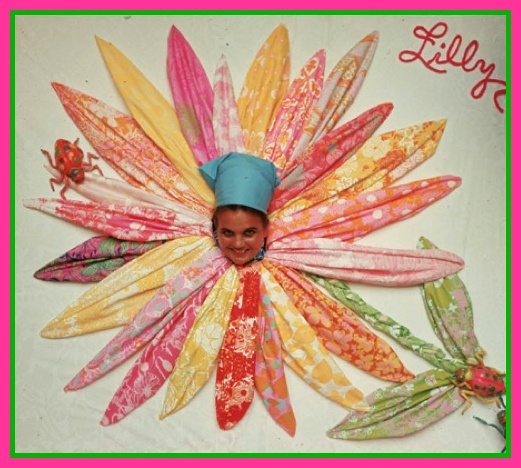 We bring back a few favorites, beginning with today’s Pretty in Pink, a group Re-Lilly’s Sue Trader did back in 2010. This stylish argyle group comes via A Punch of Color, that is one preppy looking pumpkin patch. Another group with a touch of argyle comes via Magnolia Mommy Made on etsy. Here is another great argyle from Magnolia Mommy Made. With apologies, I can’t remember where I found this one, it has such a great spider and spot of argyle. 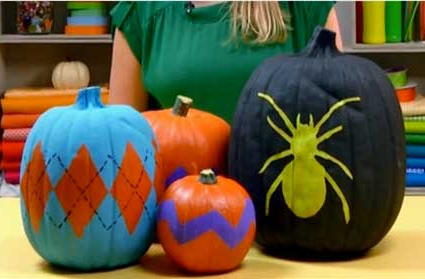 Back to pumpkins we just discovered this year, two more timeless designs, these are by House of Whimsy. Proof that non-traditional colors can look terrific. The more-than-talented Hopsy of the Kappa Prep blog had this group featured in Fox News magazine! Here is a Lilly-fied pumpkin, this is also by Susan Trader of Re-Lilly. Bethany at Maryland Pink & Green did this duo, the perfect pair for a Lilly lover. The Smiths Party of Four created their very own Lilly Pumpkin Patch, how cute is that? Here is another by Susan Trader, they are all just fabulous. We leave you with this stylish group by Swell Designer. Our other note today involves the obvious. Google has put together another of its crisis maps, an interactive tool that can be very helpful, here is the link to the one for Hurricane Sandy. And this link takes you to the National Power Grid outage map, although I’m not sure how quickly it updates. As we have noted on Facebook, we send thoughts and prayers to friends and family impacted by the storm. Royal Pains is looking for extras for the show’s fourth season, and they’re bringing their search to the Hamptons. Below we see a still from Season 2. The show stars Mark Feuerstein as Dr.Hank Lawson. The Patch story points out the show has shot on location previously; below we see filming last April. Back to the casting call, here is a little more detail from the casting company, my favorite is the final bullet point, something of a BYOC (bring your own car) request. SAG/AFTRA members with ultra high-end luxury cars (please note make, model, year and color). Extras are typically treated to breakfast and lunch. During filming in Southampton Village in April 2011, the production set up base camp at the Coopers Beach parking lot, with trailers and a heated tent. The call time was 7 a.m., and extras were required to have their schedule free for the entire day — if someone has to run out in the middle of the day it could ruin a scene’s continuity. We have had friends who have been an extra for a show or film, and they enjoyed it. The consensus seems to be if you do it for a day or two it is fun, longer than that and it became a touch tedious. Our other snippet today is about the “Superior Preppy Mansion” as described by the good folks at Curbed.com. 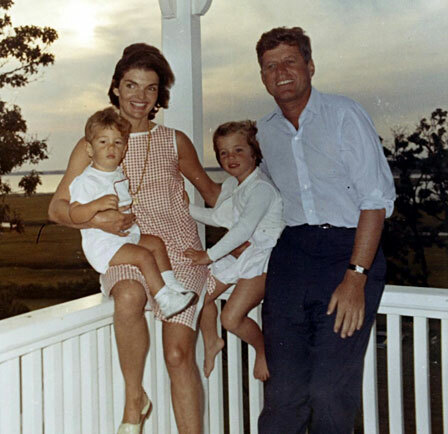 Educated at Choate and Princeton, Kellogg established himself as a fixture on the New York social scene, wedding department store heiress Fernanda Wanamaker Munn, before divorcing and marrying Mercedes Tavacoli, now better known as Mercedes Bass…. sailed in seven Newport-to-Bermuda yacht races, claimed ties to the Central Intelligence Agency, and, in his spare time, “raised miniature Dexter cattle, aquatic birds and exotic chickens” at Mill Pond Farm, this 25-acre estate in Westchester County. The main house, painted a most preppy shade of pink with green shutters, measures 4,500 square feet, with five bedrooms and five baths. Originally built circa 1700, the house was added on to by the venerable architecture firm of McKim, Mead, & White and decorated by none other than Billy Baldwin. While it’s not necessarily what we would term ‘pretty’ per se, we’ll still make it today’s Pretty in Pink. The house can be yours for $5.9 million, click here for more. Hello-Hello and welcome to a new week, we are forced to be brief once again, we are a bit swamped with business. We begin with an early look at the upcoming collection for Le Boutique Targét, the first from its new “Shops at Target” program, showcasing design partnerships with small boutiques. The initial collection, The Webster at Target, is done in tandem with luxury boutique The Webster Miami. The line launches May 6, photos of the collection were released last week. Pieces showcase iconic Webster themes, including the boutique’s banana leaf print wallpaper, as well as motifs reflecting Miami’s art deco architecture. You’ll also note there’s very much a resort, beachside feel to the styles. Below left to right we see the Colorblock Cardigan ($32.99), Tank in Palm Print ($19.99) and Jacquard Skirt in Coral ($29.99), the Sleeveless Shift Dress in Two-Way Deco Print ($39.99) and Short-Sleeved Drawstring Dress in Melon ($36.99). Since this collaboration is with a company that is likely to have more of a niche following than say, Missoni, you probably won’t have to fight with eBay vultures to get your hands on it. Below we show some of the accessories, starting with bracelets in ‘Two-Way Deco Print’ and ‘Green Plaid,’ both $16.99. Other jewelry includes the Sand Dollar Chandelier Earrings in Gold and Silver ($14.99 each) and Coral Strand Necklace with Sand Dollars ($34.99). Two totes, the ‘Wall Paper Floral Print’ will retail at $29.99 and ‘Straw Tote in Palm Print’ will be $39.99. Scarves in coordinating prints will be offered at $19.99. Striped straw hats in navy and coral are going to be $19.99. And, while the company has dabbled in offering a few of these items for men over the years, they’ve never quite hit the bullseye when it comes to making clothes guys would actually want to purchase. These men’s looks feature a short-sleeved Polo ($19.99) and Swim Trunks ($29.99) on the left, on the right we see a Navy/White Striped shirt ($29.99), Shorts in Palm Print ($29.99), Chevron Woven Belt in Green ($19.99) and the Straw Fedora ( $19.99). This looks like it has lots of potential, as is so frequently the case with these collaborative efforts, a key component will be quality. Following yesterday’s excitement in Augusta, we have two golf notes to share. On his way to a green jacket at the Masters, Bubba Watson could be seen with his pink Ping Driver. You have to love a guy who uses pink clubs, especially when it is part of a fund-raising effort. Mr. Watson hopes to raise $1,000,000 for various charities this season, Ping has already donated $10,000 to the cause. Today we share a look at two of the more notable collaborations now on sale or about to launch, starting with the Diane von Furstenberg for Gap Kids collection. There was quite a bash at GapKids and babyGap in Los Angeles celebrating the line’s upcoming debut. The new line covers newborns to 14-year-olds. The babyGap styles have the Cute-o-Meter peaking in the red zone. “I used to say no to doing kids collections because I wanted the little girls to grow up, but this is so fun and happy and I like the optimism of it,” said the designer, who greeted several tots and their celebrity parents at the invite-only event. Below we see Ms. von Furstenberg with her granddaughter Talitha and friends, on the right she is is with Molly Sims. At the Los Angeles launch party there was even a petting zoo for the kids with bunnies and puppies. As one would expect from this designer, the designs are bright and vibrant, one recurring pattern showcases hearts intermingled with the designer’s initials. Other signature themes are also evident in the new line, splashy prints and vivid colors. When we first heard about this, we pshawed the whole thing, joking that she’d wind up making wrap dresses for toddlers. Well, shut our mouths; wrap dresses for toddlers are ADORABLE. There is a serious cute factor even this grizzled old crone finds hard to resist. Just how darling did Tom & Lorenzo think the collection is? We think children should be kept in boxes and only let out to serve their adult masters drinks, but even we squealed a little at some of these pieces. We’re kinda sad now that all our nieces are tweens and teens. We would have had a blast buying up this stuff for various birthdays, back when they didn’t ask for gift cards and money. So darn cute we’ll even overlook our usual line in the sand thought on little girls and “heels”. The good news is that a second wave of designs will launch in time for the holidays. Hopefully this will provide Gap with a much-needed boost. On to our next collaborative tidbit, the Mad Men and Estee Lauder partnership. The two entities have teamed up on a lipstick and creme rouge. With those two items we say ‘bye until next time, yours truly has to run the beasts to the house of pain vet for a little scheduled maintenance.